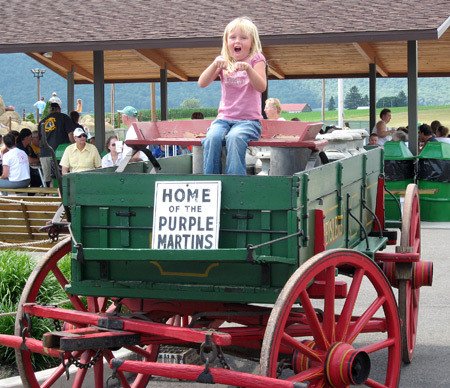 Heisler's Dairy Bar is home to the second largest population of Purple Martins in Pennsylvania. We have 100 breeding pairs of Purple Martins and put up 14 houses each year. Each year the Purple Martins return to us from Central America in early April and depart mid August. Each year every house is taken down, cleaned and freshly painted for the Martins' return. They eat small insects such as mosquitoes. This helps control the bug population in the Valley. For more information on Purple Martins, please visit www.purplemartin.org. ©2014 Heisler's Cloverleaf Dairy. All Rights Reserved.